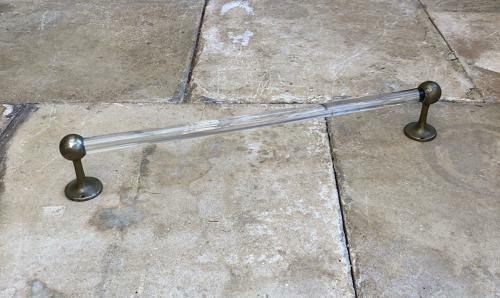 A wonderful 1930s Glass Towel Rail. The glass rail is supported by two gilded chrome supports. The glass is in lovely condition. A heavy great looking piece.